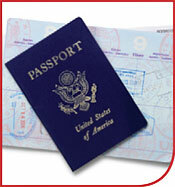 This course deals with the law of immigration within the United States. The course will focus on immigrants and the different categories of non-immigrants and the various laws that must be followed to visit the U.S. from abroad or gain permanent resident status. Immigration law is a form-based area of law. As such, we will review and discuss the various forms that are used in the immigration process. Students will gain a better understanding of the vocabulary often used in immigration cases, and learn how to prepare various types of immigration forms, and develop an understanding of how to deal with the immigration client. Explain the common vocabulary terms as related to immigration law.